Spain received 7.6 million international tourists in June, 12.7% more than in the same month in the previous year. As usual, the UK was the source of the majority with over 2 million Brits choosing Spain as their spring destination. This figure represents 28% of the total and is an increase of 17.5% when compared to the same month last year. German and French tourists were the next largest groups with 1.1 million Germans, and 835,000 French visitors reaching Spain in June. These figures represent increases of 10.4% and 10.8%, respectively, on the annual rate. Amongst other countries to send significant numbers of tourists was the USA with a 37.1% increase in visitor numbers, Portugal with a 24.9% increase, and Ireland which sent 19.2% more visitors than in June 2015. Cumulatively, for the first six months of this year the total number of international tourists to visit Spain has reached 32.8 million, a year-on-year increase of 11.7%. 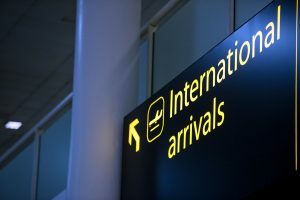 For the same period, the largest source country remains the UK with almost 8 million Brits visiting Spain so far this year, an increase of 16.5% when compared to the same period in the previous year. Germany and France are next with 4.9 million and 4.5 million visitors. The Balearic Islands attracted the most tourists in June with 1.9million visitors, accounting for 25.6% of the total, and 11.4% more than in June 2015. The majority of visitors to the islands were British accounting for 33.5% of visitors, followed by Germans who made up 32.8% of visitors. The number of tourists visiting Catalonia increased by 7.9% and stood at 1.8 million, 23.6% of the total. 19.8% of those visitors were from France and 15.4% from the UK. Andalusia was the third most popular destination with just under 1.1 million visitors, representing annual growth of 15%, and accounting for 14% of the total. British travellers accounted for 30.8% of those visitors, with the “Rest of Europe” making up 9.2%. Other destinations to see significant increases in tourist numbers were Madrid with a 20.8% rise, the Canary Islands with 17.9% more visitors, and Valencia which attracted 15% more tourists than in the same month last year. For the first six months of 2016 the communities to receive the most international visitors are Catalonia with 7.6 million (an increase of 4.9%), the Canary Islands with 6.3 million (an increase of 12%), and the Balearic Islands with just over 5 million (an increase of 13.4%).